A casual look at the homepage of this here blog and you’ll see that there has been a bit of a beard obsession for the last month or so. Yes, the beard is now so grizzly and I’m so scared of cocking up the shaping of it that I asked the good folk at Ted’s Grooming Room if they would like to have a crack at my beard so that on-going maintenance would be easier for me. They of course jumped at the chance and so yesterday I ventured around the corner from my office and slipped into the barbers chair at Ted’s Grooming Room – Charlotte Street. Usually when I venture into one of the Grooming Rooms I opt for The Full Ted, which comprises of a wash and cut, shave and eyebrow threading. 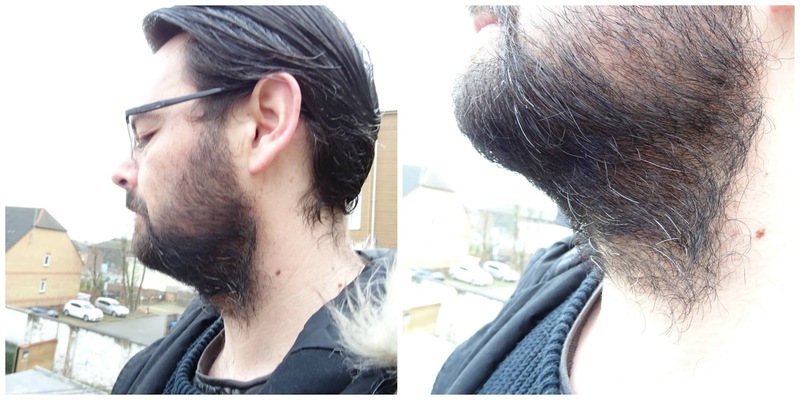 With limited time, and a half-arsed attempt to grow my hair out again I opted for a beard trim and shape on my visit during lunch on Friday. This would set you back £22.50 and takes around thirty minutes. Drum roll please as the pictures speak much louder than any words that I could type! Looking a state so you don’t have to! The final result? Bearded awesomeness. So, a quick compare and contrast and it’s obvious to even Stevie Wonder that Eren my nimble fingered barber performed a minor miracle. My beard is shaped and trimmed to perfection, it feels better, it looks better and it's now in a place where I can use my own trusty beard shaping tool and a razor to keep it under control. As an aside, how cool is the lighting? I’ve said it before and I’ll say it again about Ted’s Grooming Rooms – they offer a wide variety of treatments, they treat you like a king and their skilled barbers really do provide an exceptional standard of service. They know their craft and they attain perfection every time in my view. Throw in the Turkish massage and it's always an experience worth having. I need to send my husband here, I think he would love (and benefit from) the experience! That is literally the coolest lighting and look how well they shaped it! It looks so much better! Looks like a great place. Need to point my other half its direction. Its not often that I see post focused on male grooming, possibly because I dont look for them. thanks for sharing will hare with a friend! So refreshing to see a male grooming post. Thank you for sharing. And that is some seriously cool lighting! Sounds like a really great place! The lighting is so cool!! Liking the lighting and it sounds like a really good place for Gentlemen's grooming. your beard is on point! The place looks great and I totally understand where you are coming from, my hubby has a rather cool beard and is also frightened of wrecking it himself.